You really can’t blame some people for being salty. A legendary wordsmith and songwriter hasn’t dropped new material in almost 15 years and when he does, he barely sticks around for a half hour. However, let us remember who we’re dealing with here. 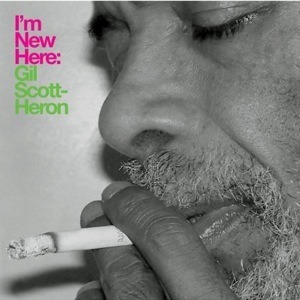 If ever there was a verbal economist, Gil Scott-Heron certainly fits the bill. Longtime fans already know that he’s not one to waste words. In some ways, this abbreviated return is the perfect package for a new audience that has yet to discover him, a generation more used to listening to singles than entire albums. It’s a beautiful reminder of why the practice of sitting down and listening attentively to a release (not while you’re on the go) must be preserved. The album opens with “On Coming From A Broken Home (Pt. 1),” Gil’s memories of his grandmother nestled within a stripped-down version of Kanye West’s “Flashing Lights.” Devoid of excess, inescapable and unflinching substance remains. XL label owner Richard Russell provides new school electronic textures for Scott-Heron’s words and vocals and surprisingly enough, it works. Consider the flip on the 12-bar blues standard that is “Me And The Devil,” Gil showing himself as quite the blues man over a dark and brooding instrumental. “New York Is Killing Me” offers a slight variation on this formula, this time centered around a sparse track with handclaps as its foundation. Russell deserves kudos for his production, which in no way tries to force a legend into contemporary trappings, but compliments the reflections of a man making his way through mishaps and the complexity of life. The timelessness of Scott-Heron’s words is evident on “Your Soul And Mine,” as he reaches back for his classic piece “The Vulture” and presents it as version 2.0. It’s well over 30 years old and it hasn’t aged a day.